Prime Minister Narendra Modi is headed to Kazakhstan for the Shanghai Cooperation Organisation summit. 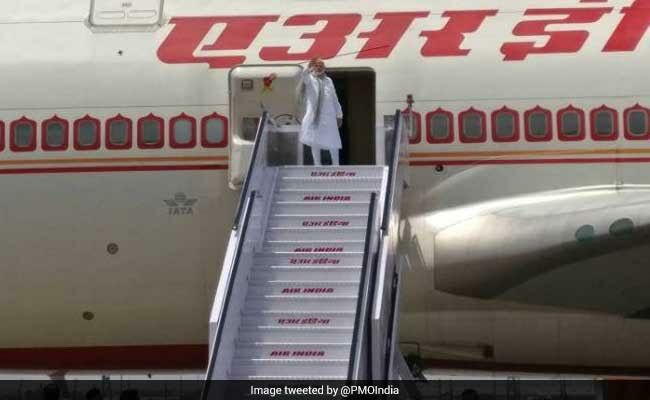 New Delhi: Prime Minister Narendra Modi today left for Kazakhstan where he will attend the summit of the Shanghai Cooperation Organisation (SCO) and meet some foreign leaders, including Chinese President Xi Jinping. At the summit in Astana, India and Pakistan will become the full members of the grouping, which at present comprises China, Russia, Kazakhstan, Kyrgyzstan, Uzbekistan and Tajikistan. Pakistan Prime Minister Nawaz Sharif will also be attending the summit but the India has ruled out any bilateral meeting between PM Modi and Mr Sharif in view of the tensions between the two countries. Ahead of his two-day visit, PM Modi said he looked forward to deepening engagement with the SCO countries. "I look forward to deepening India's association with the SCO which will help us in economic, connectivity and counter- terrorism cooperation, among other things," he said in his pre-departure statement yesterday. At this meeting, on completion of the process, India will become a full member of the SCO upon which the SCO will represent over 40 per cent of the world's population and nearly 20 per cent of the global GDP, the prime minister said. "Together, we will harvest new opportunities for beneficial engagement and redouble efforts to address common challenges that may come in the way of realising our full potential," he added. On the evening of June 9, he will also attend the inauguration of the Astana Expo with the theme of "Future Energy".